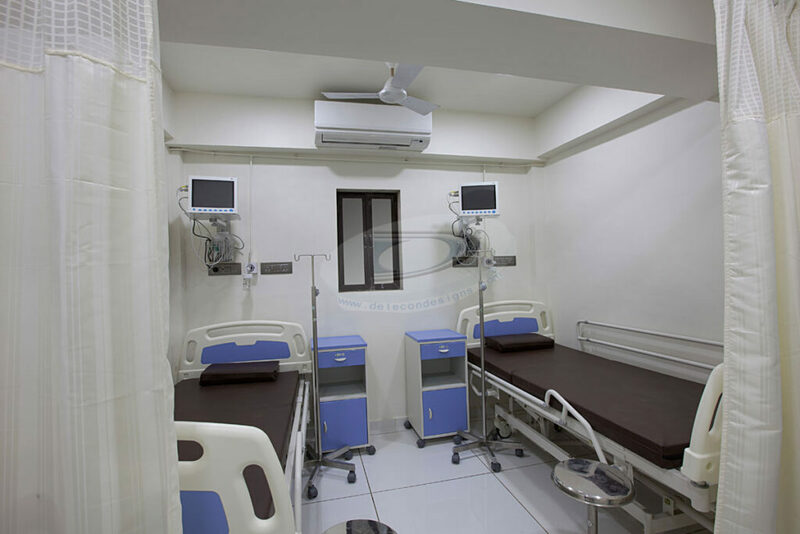 We had a design output while executing the entire hospital. 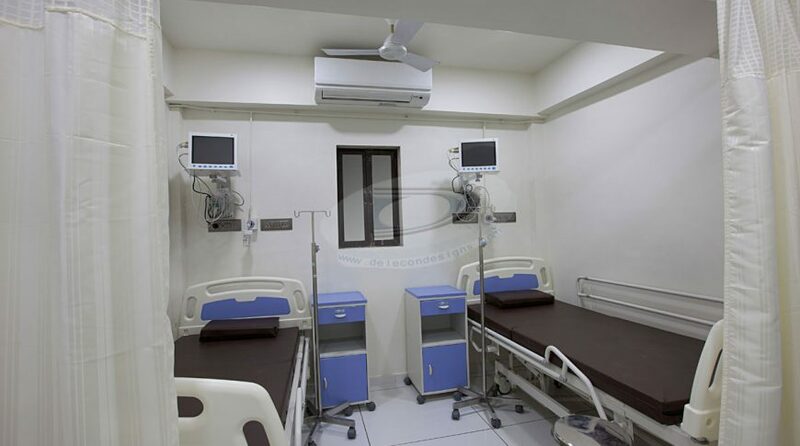 The big area hospital with all inclusive turnkey job became little tough in a particular framed budget of Rs. 82 lakh overall. 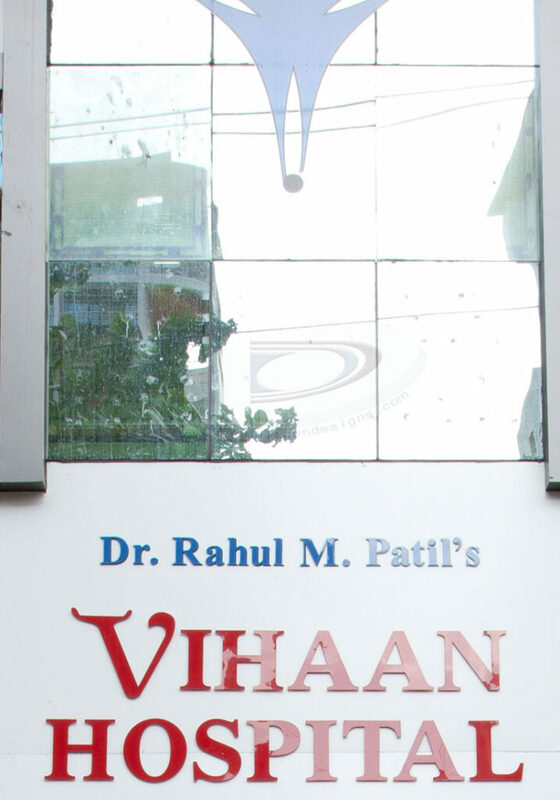 The director & main doctor of vihaan hospital Dr. Rahul Hospital met us in a sunny day with one of our referenced client Mr.Shravan Bhad. 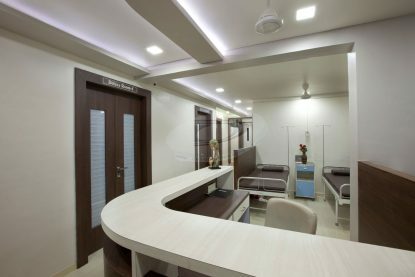 He already has seen few of professional jobs in hospital designs. 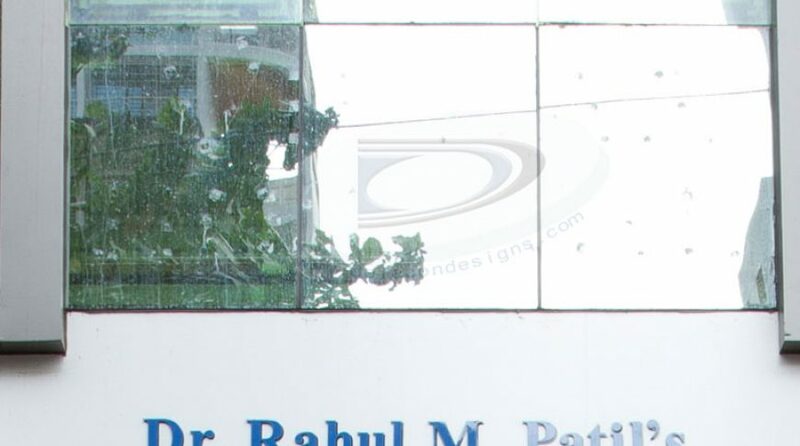 His search was over till he met us. 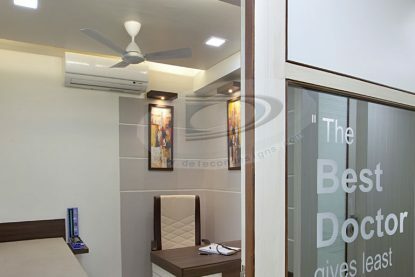 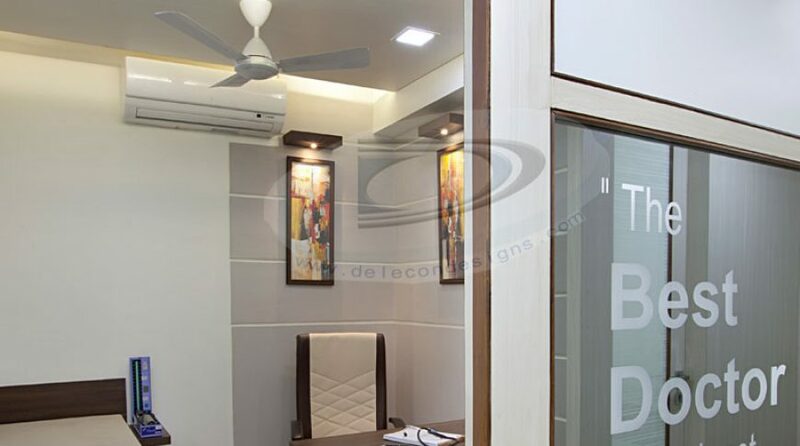 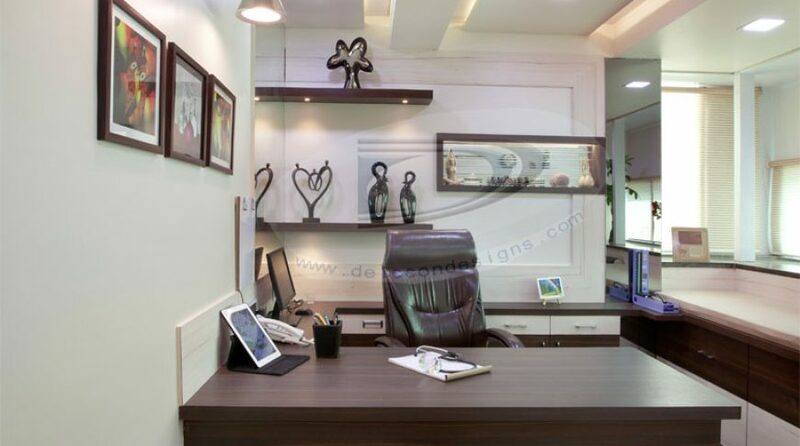 We have assured him about our design work &quality output. 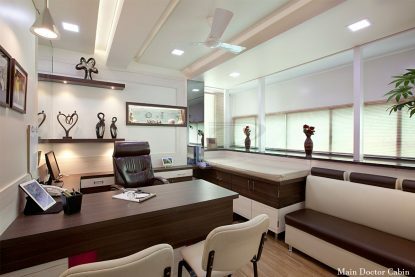 We realised his dream & passion to have unique design hospital in a very first meeting itself. 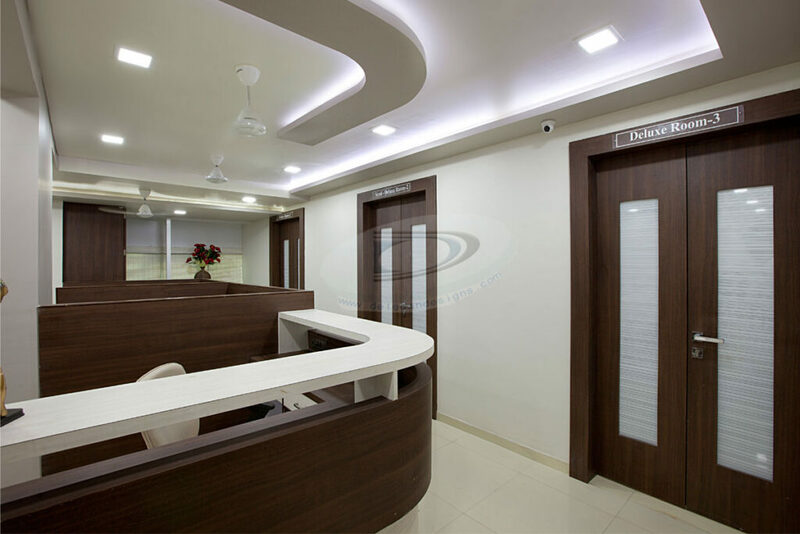 When our team started work on site, as time collapse the slide show on site work become clearer day by day. 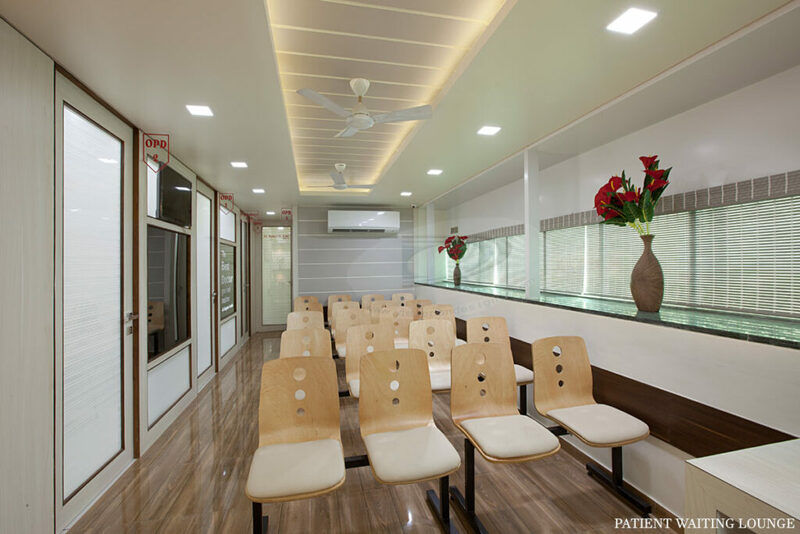 Today we proudly hand over this luxury designed hospital to Dr. Rahul Patil. 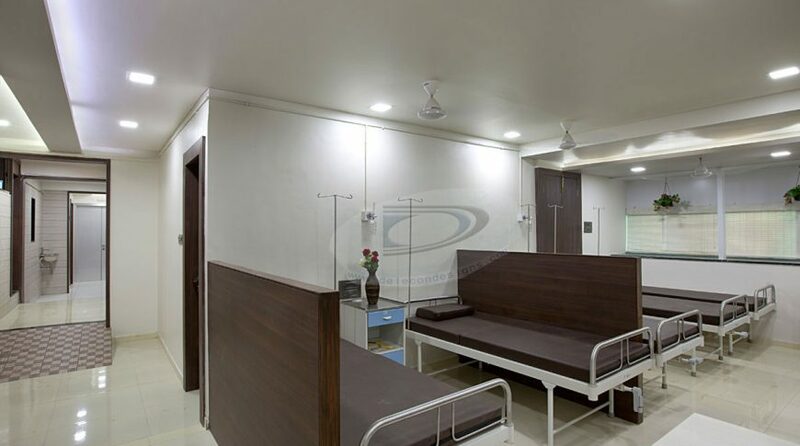 A broad looking luxuries hospital is now a new landmark hospital in entire Kamothe, Navi Mumbai. 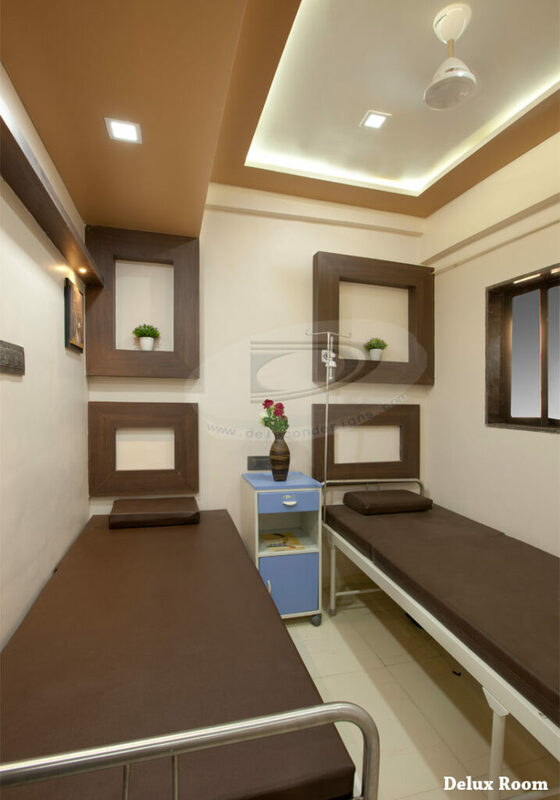 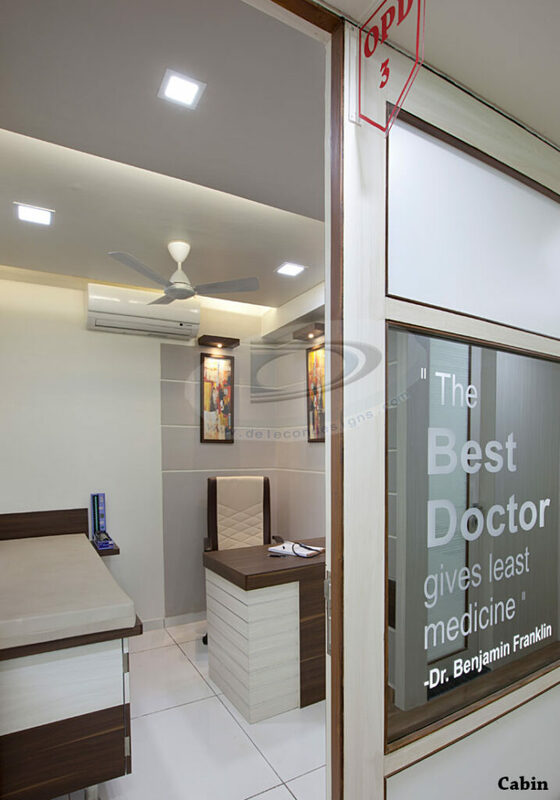 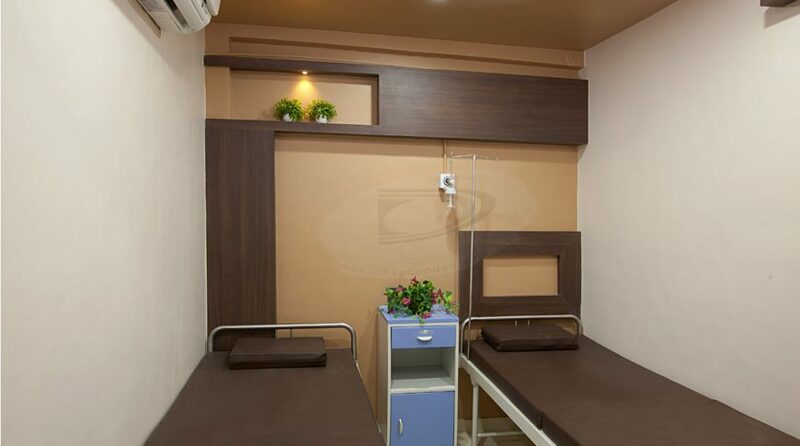 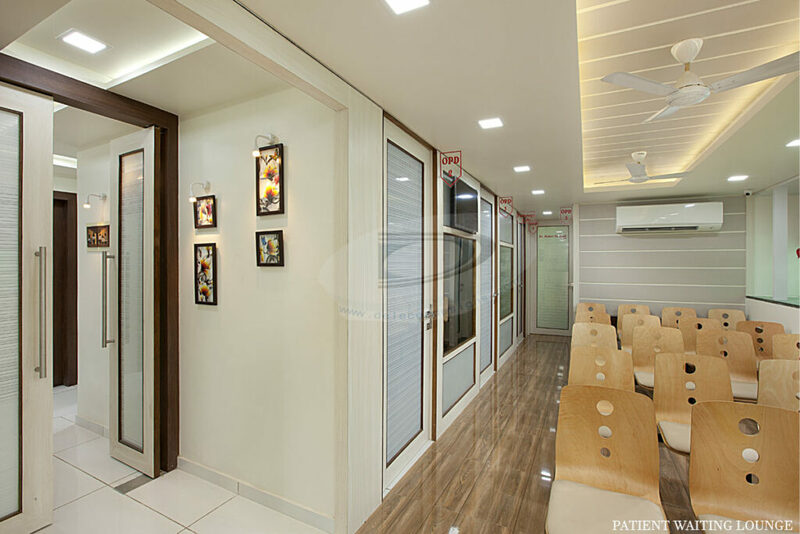 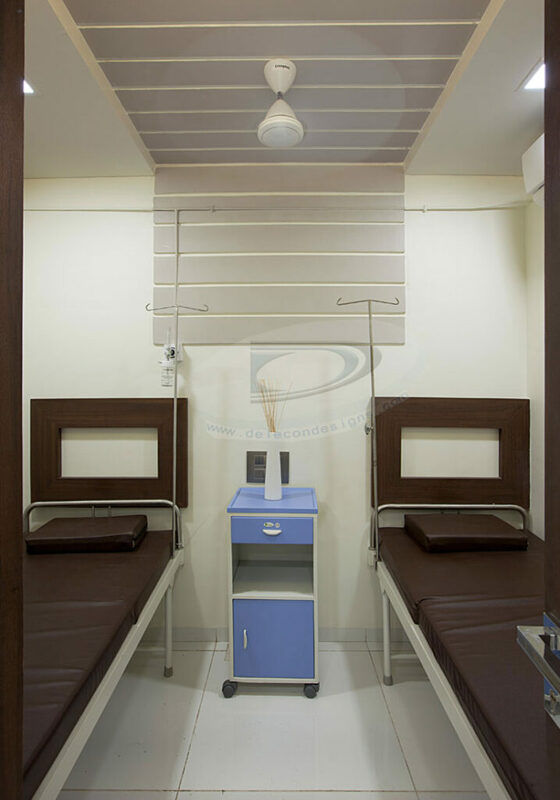 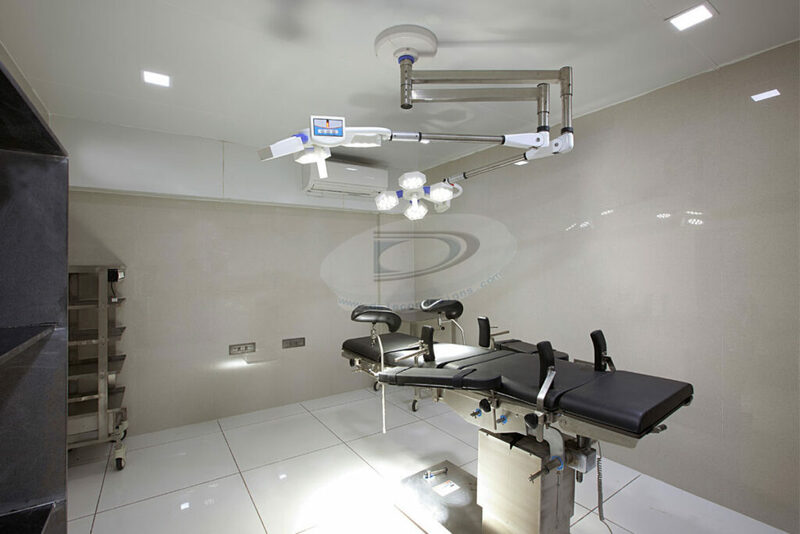 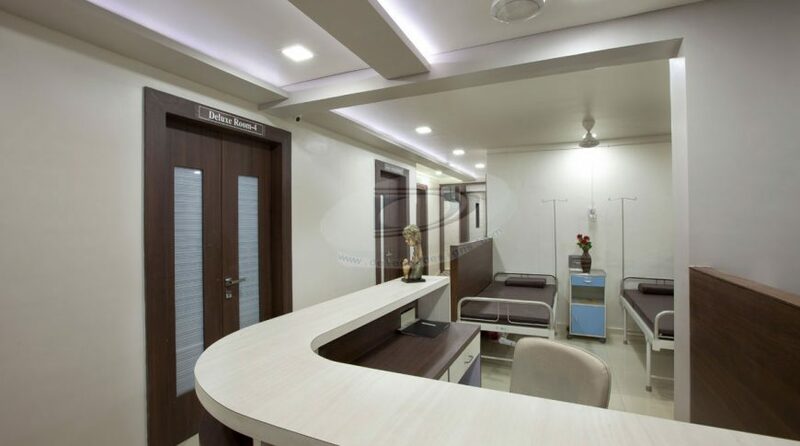 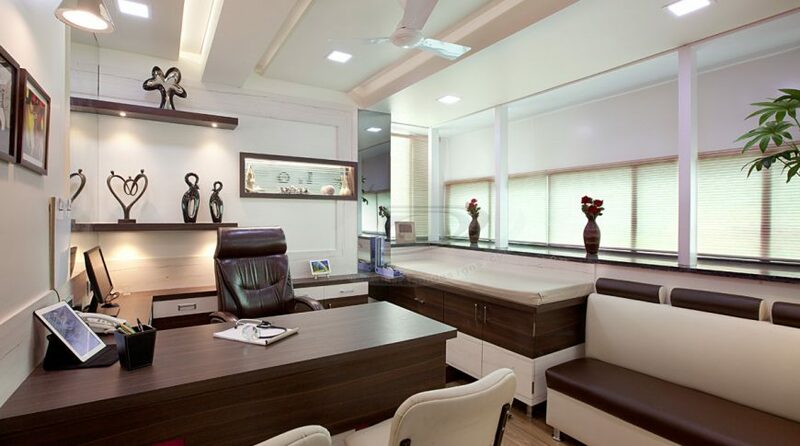 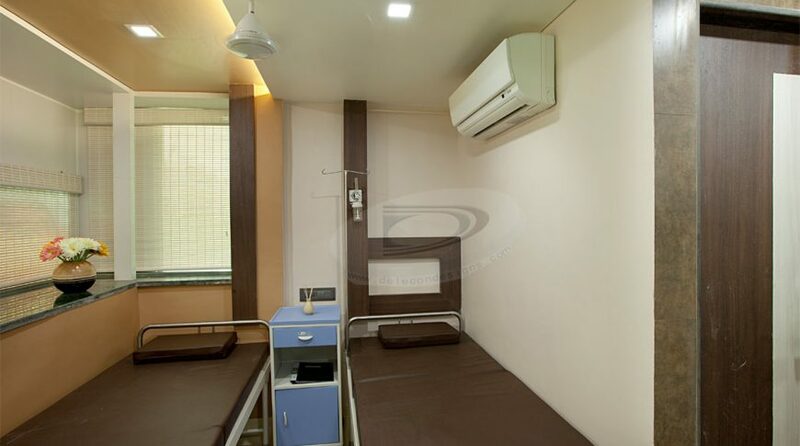 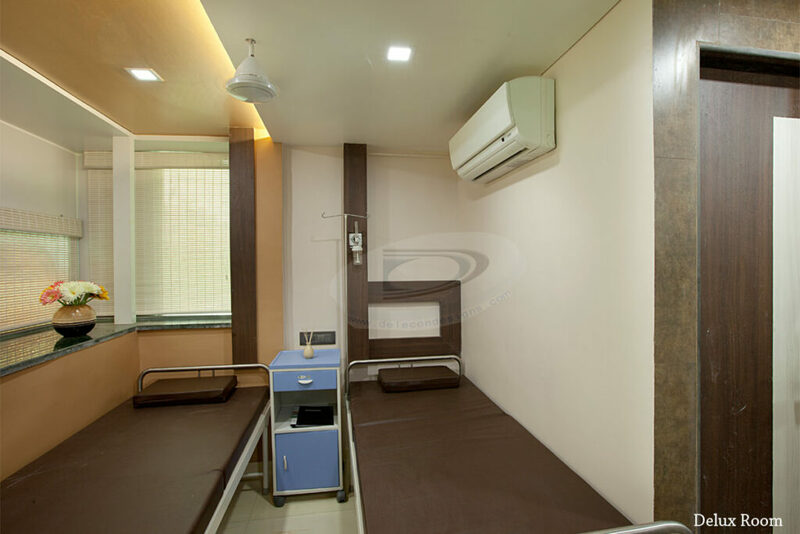 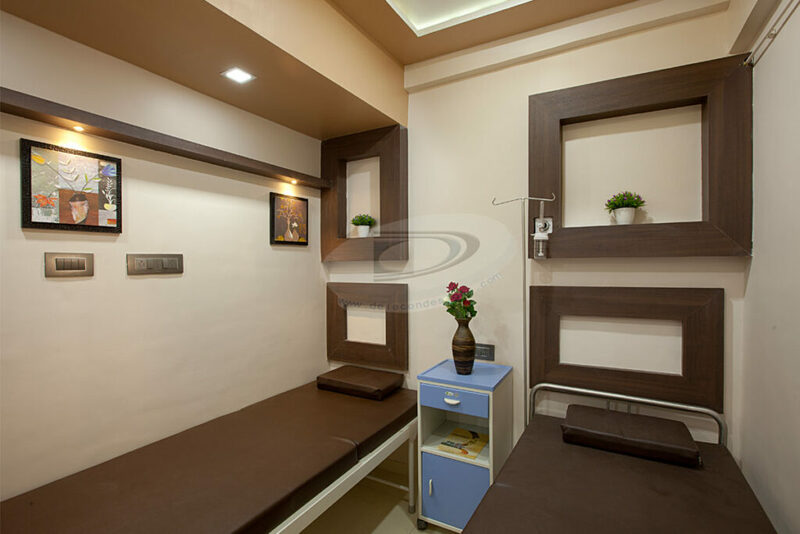 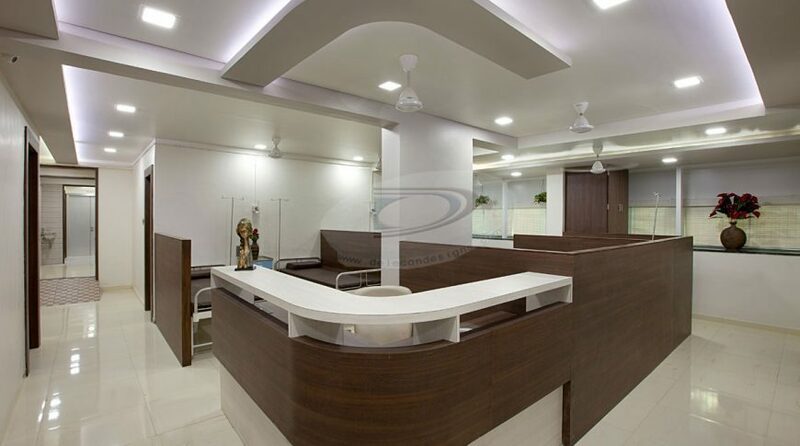 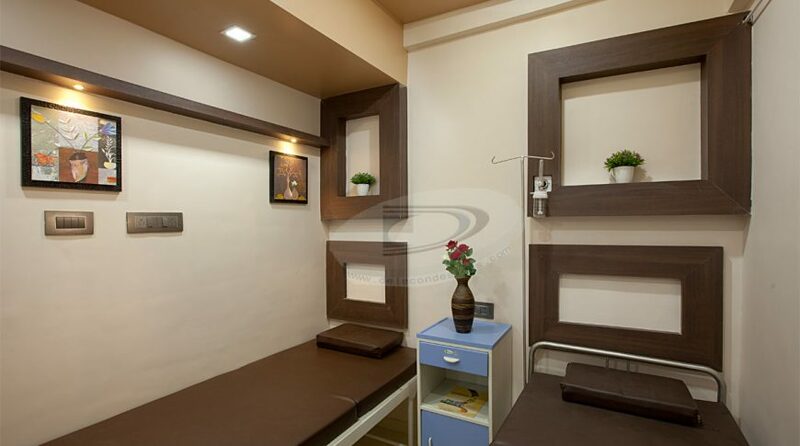 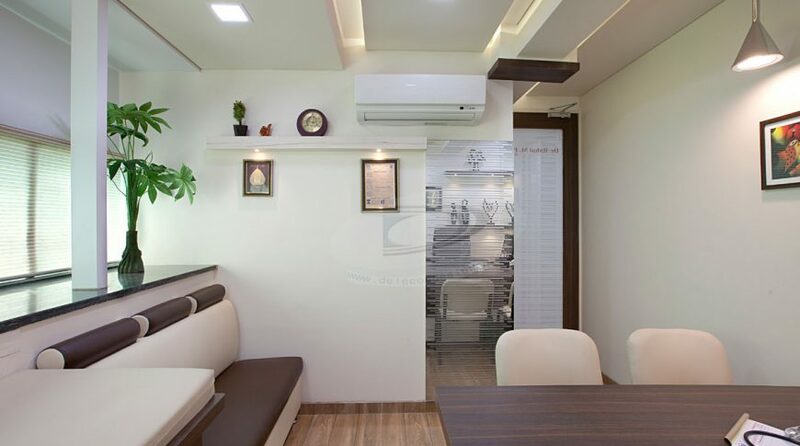 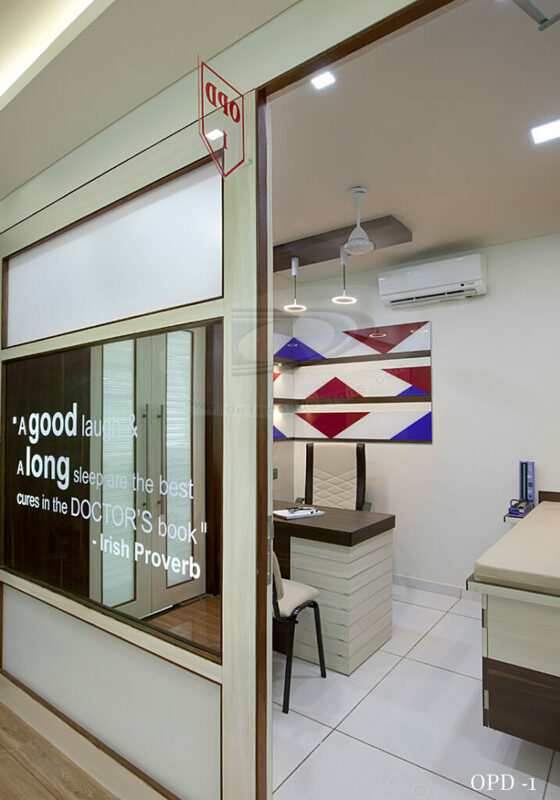 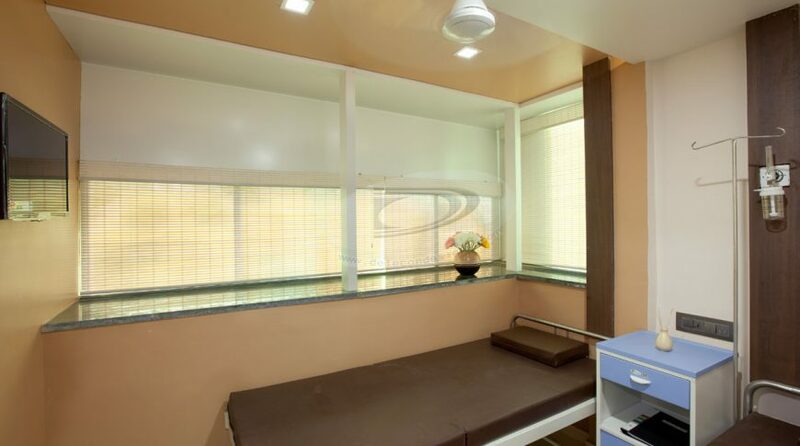 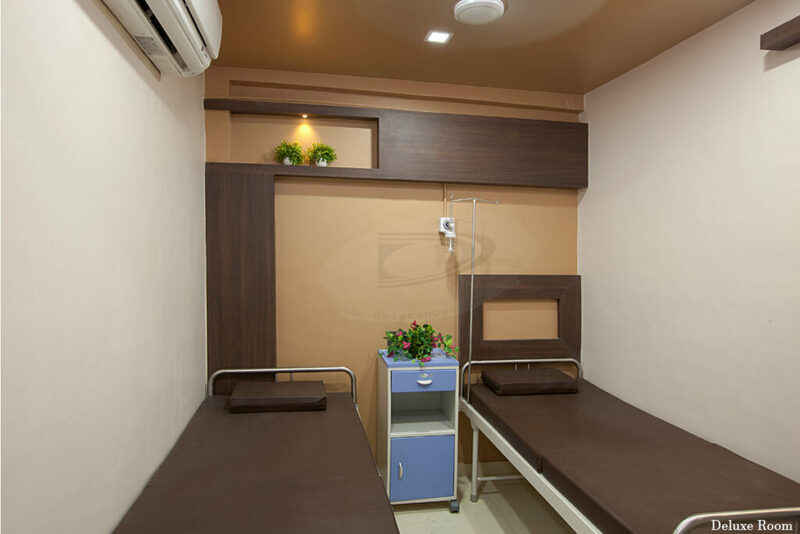 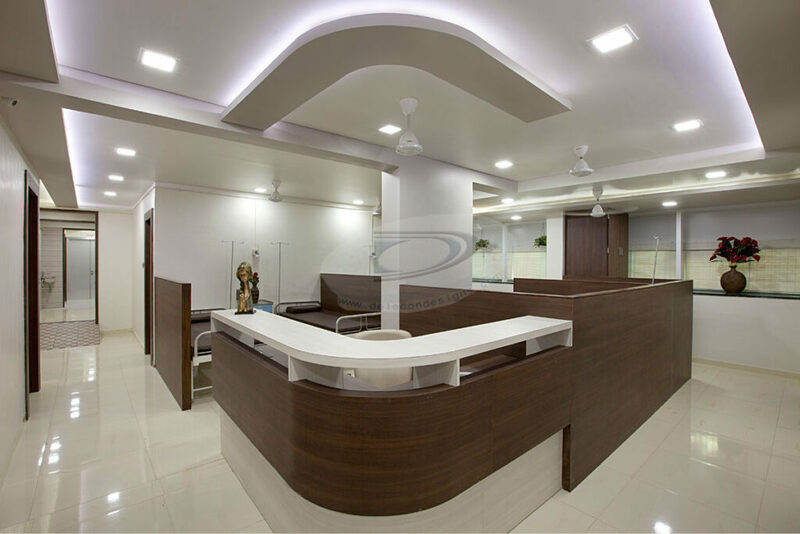 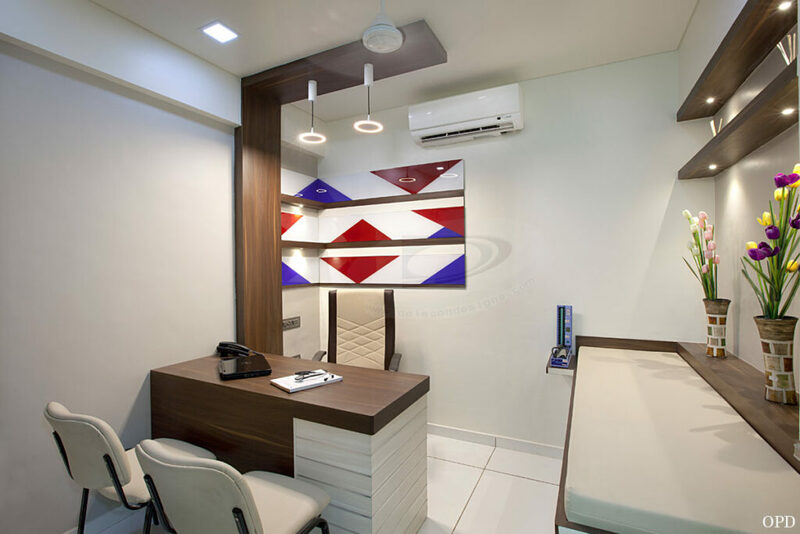 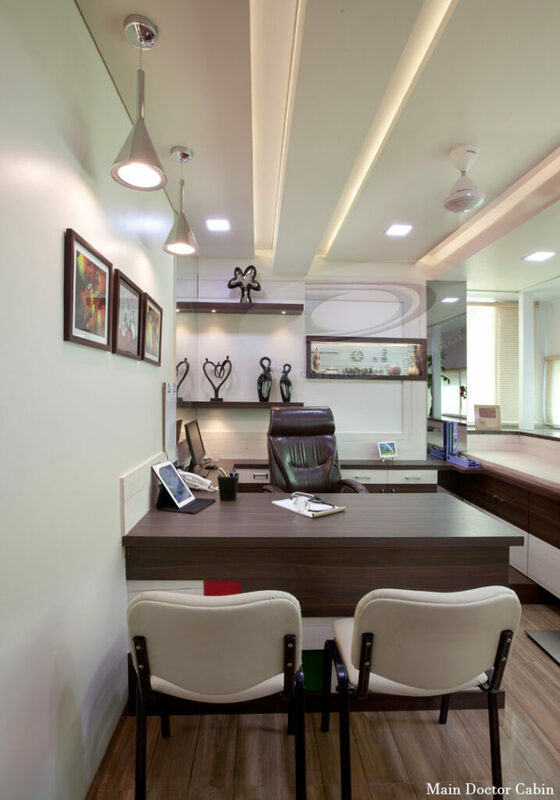 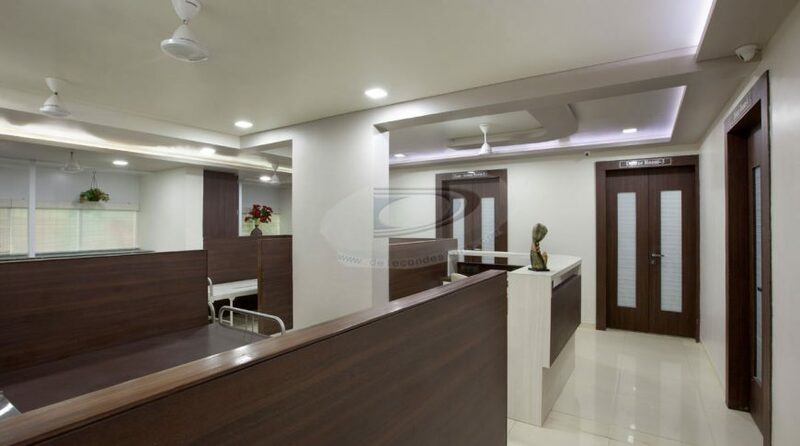 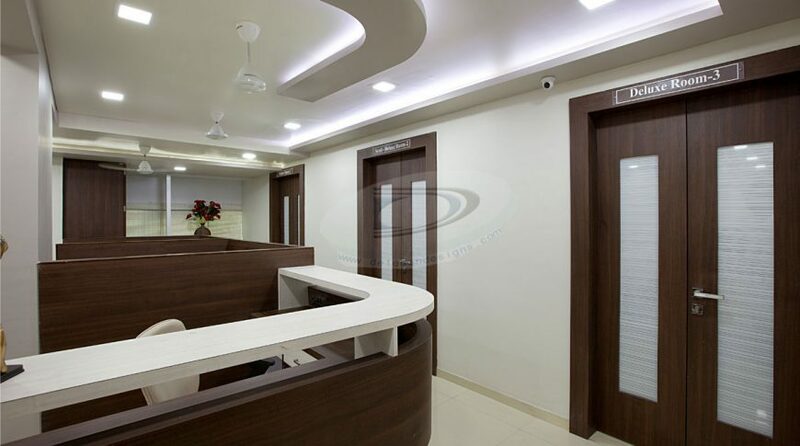 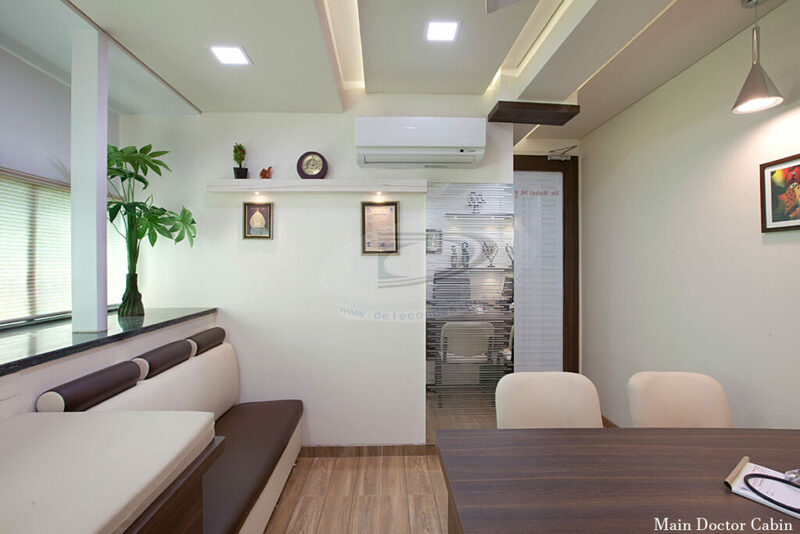 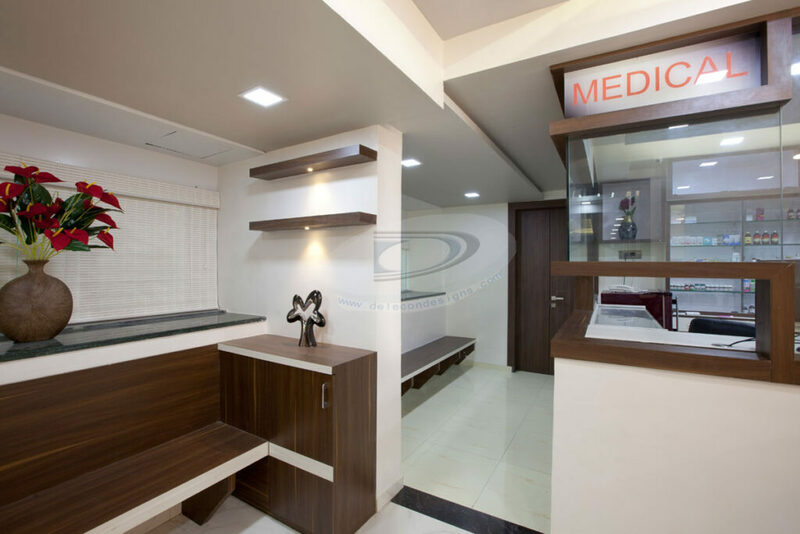 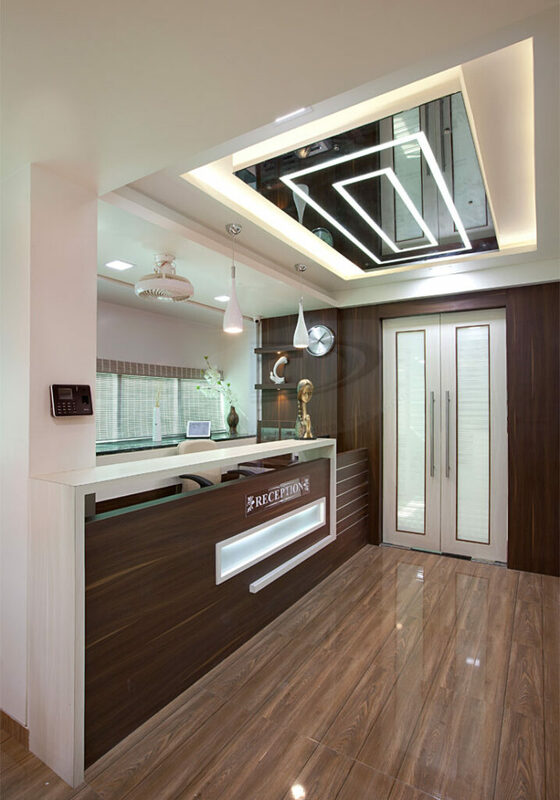 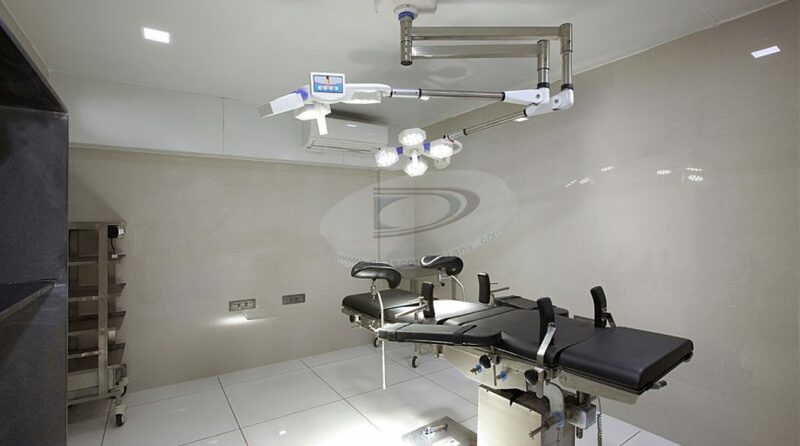 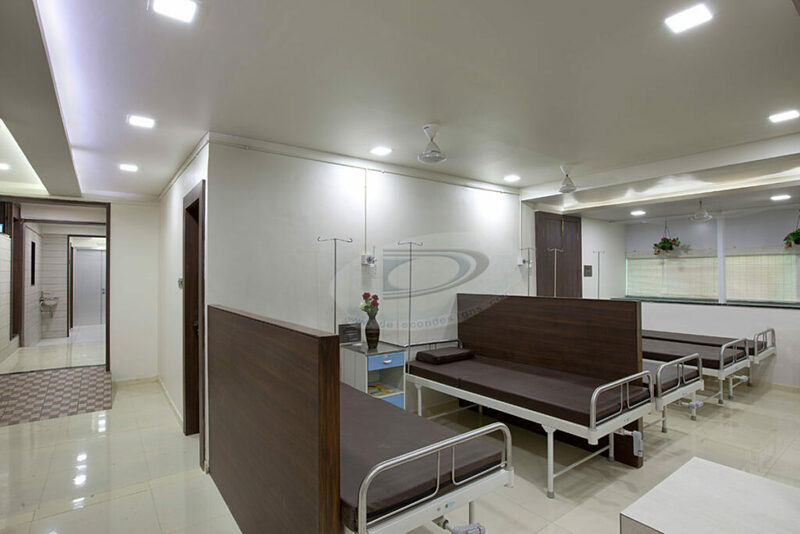 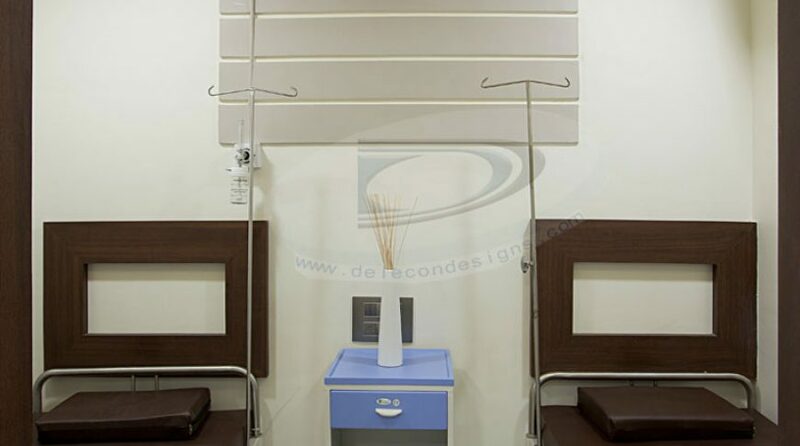 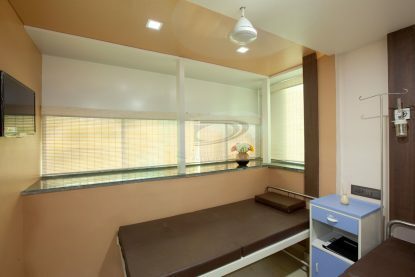 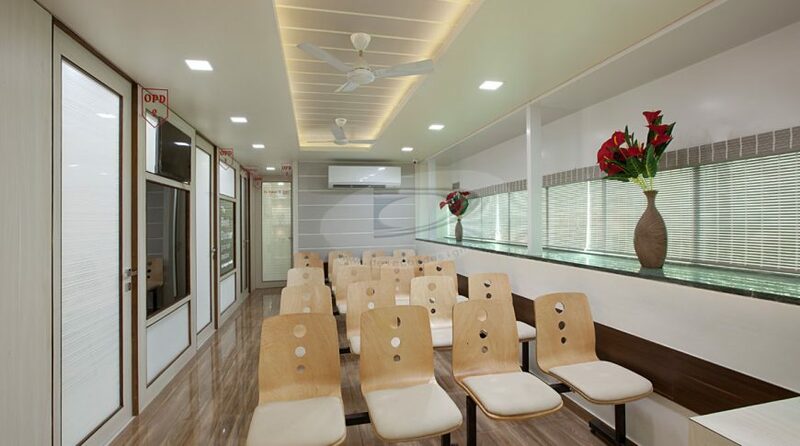 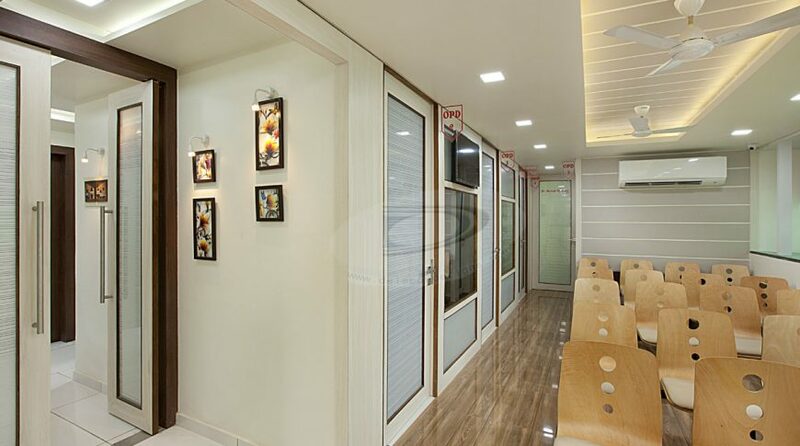 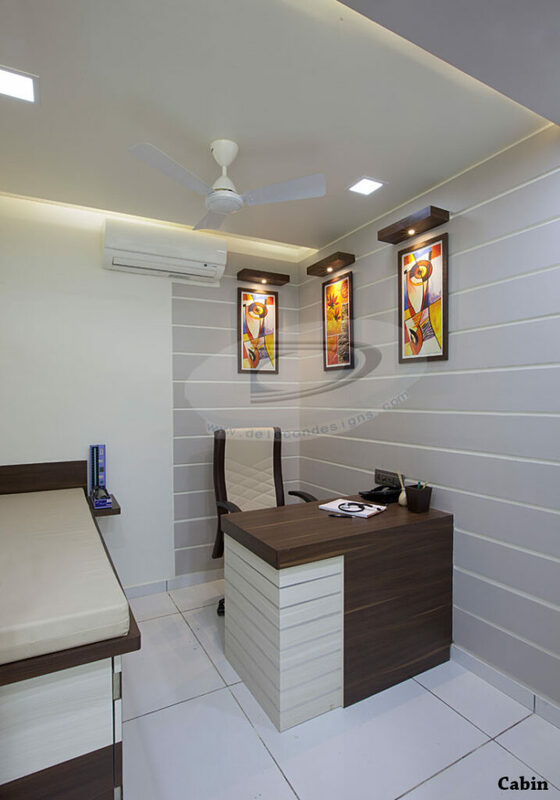 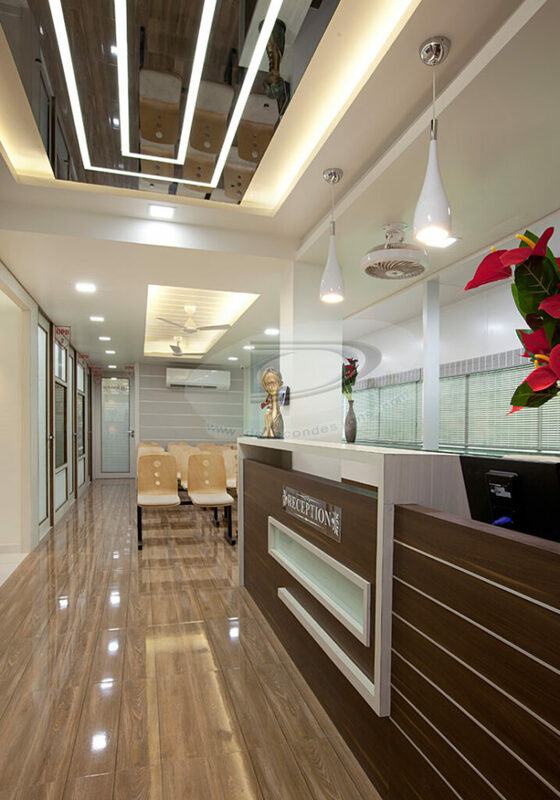 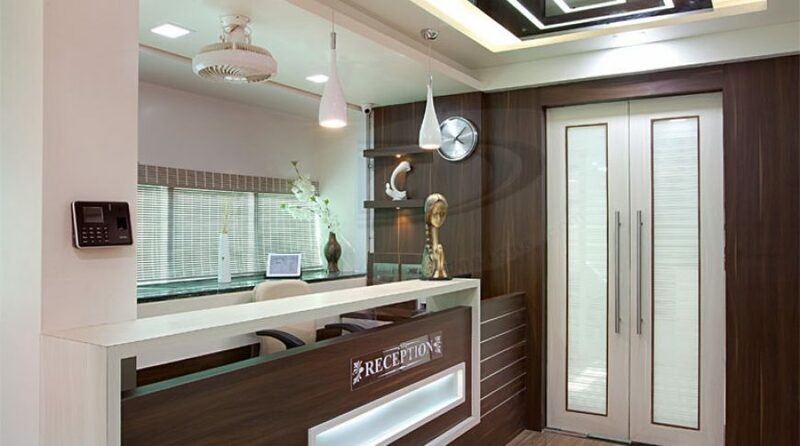 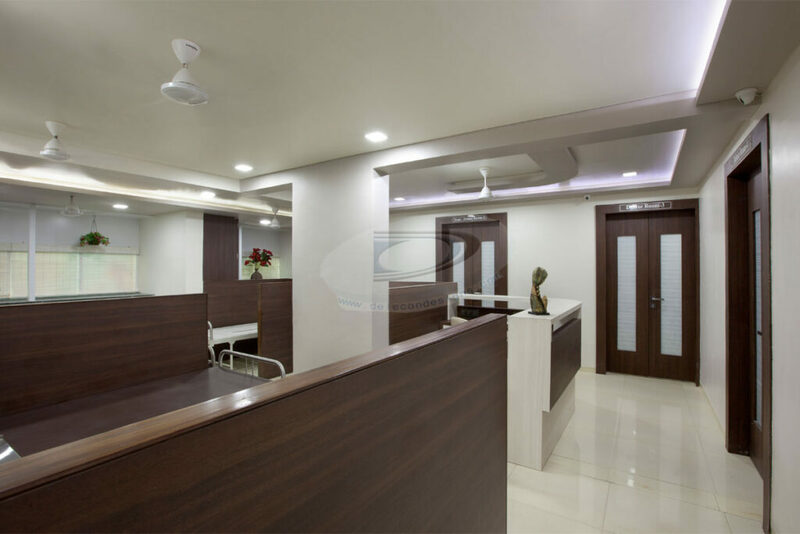 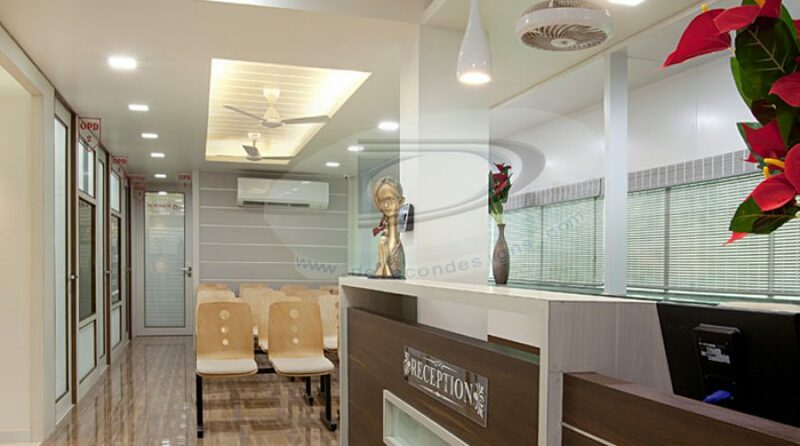 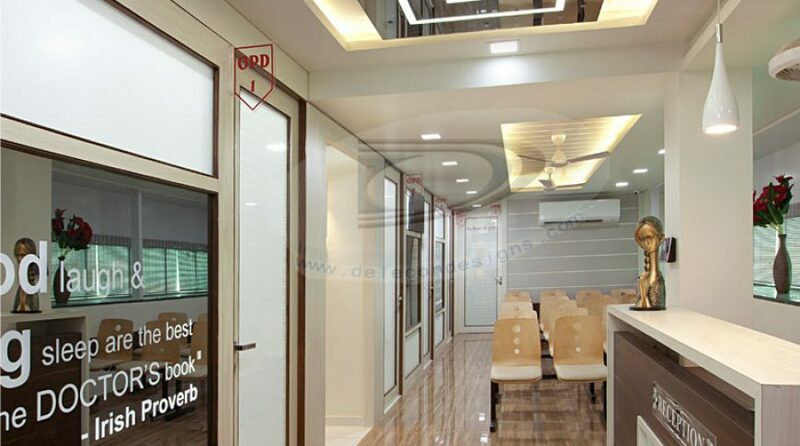 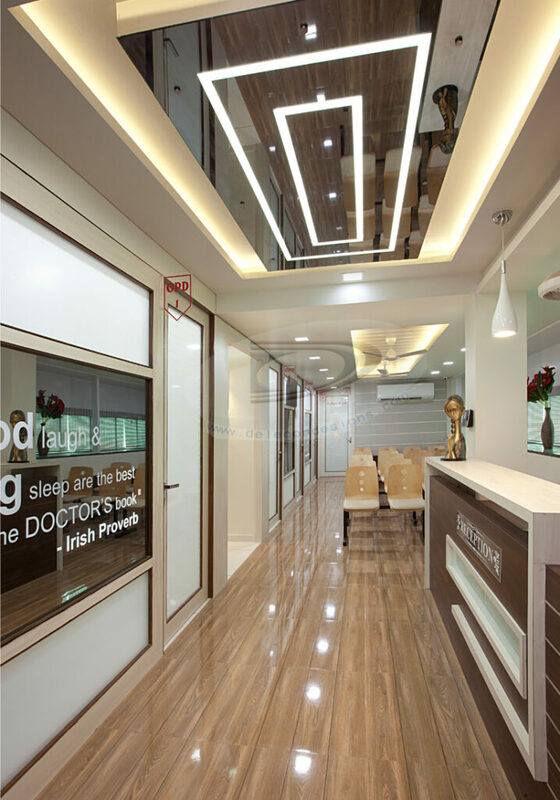 This fresh luxury hospital sets a new definition for the patients who are admitting there for treatment. 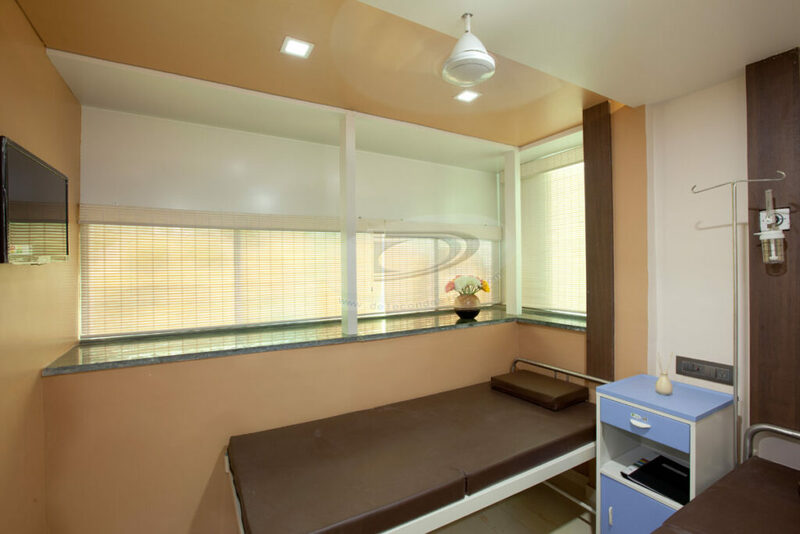 Everywhere we consider all the safety measure because the place is going to be utilized by patients. 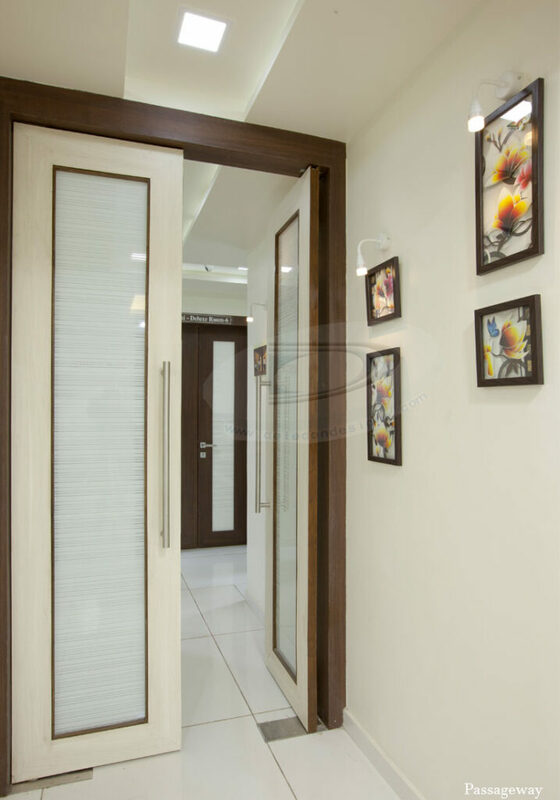 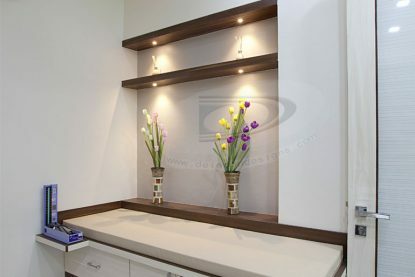 In this design they feel more comfort with sober looks & colour combination. 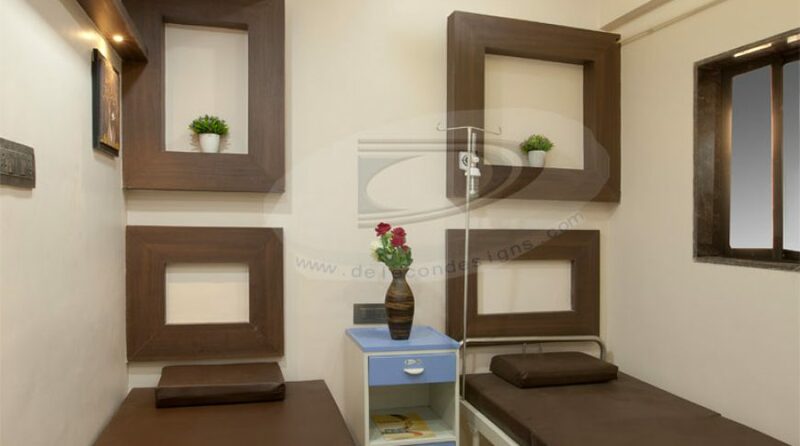 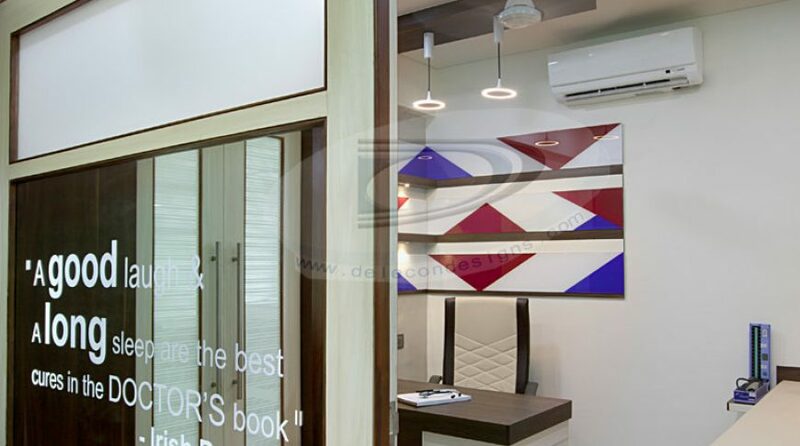 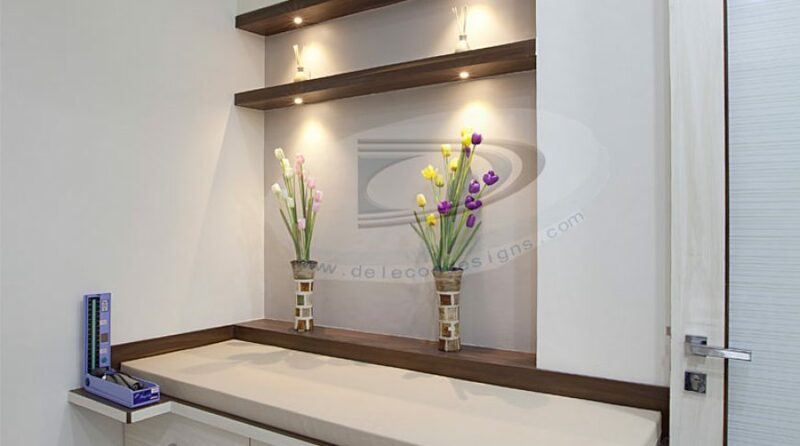 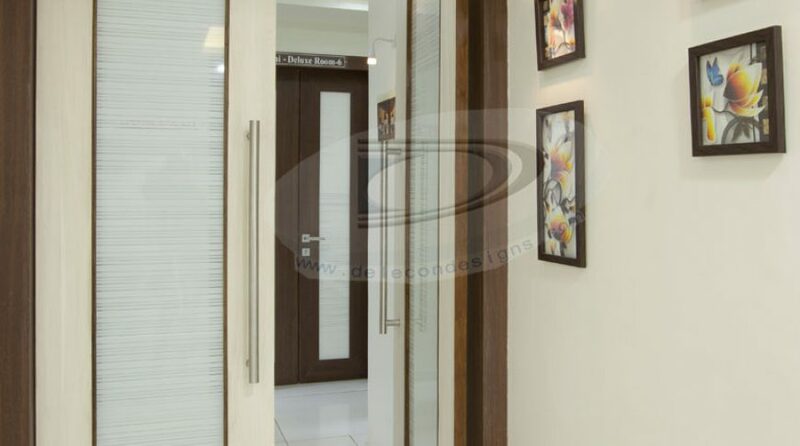 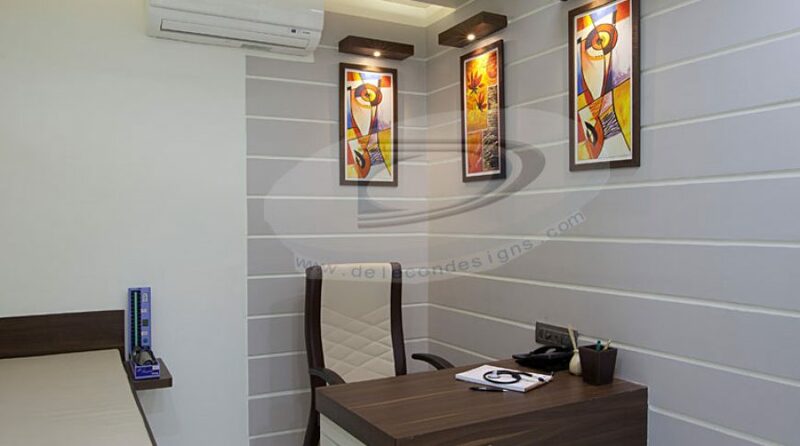 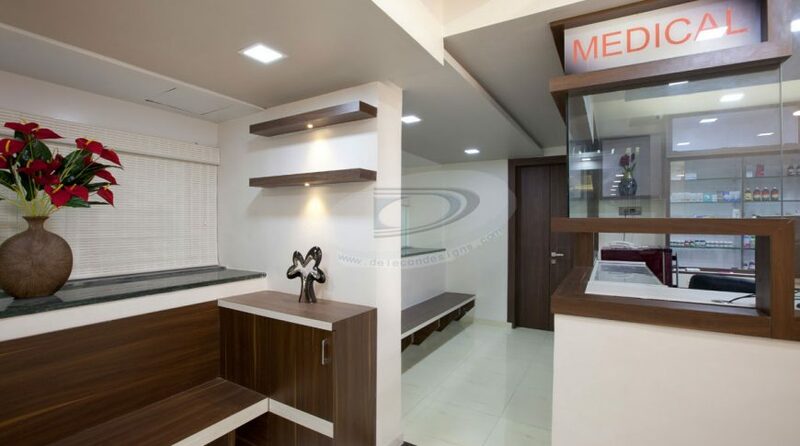 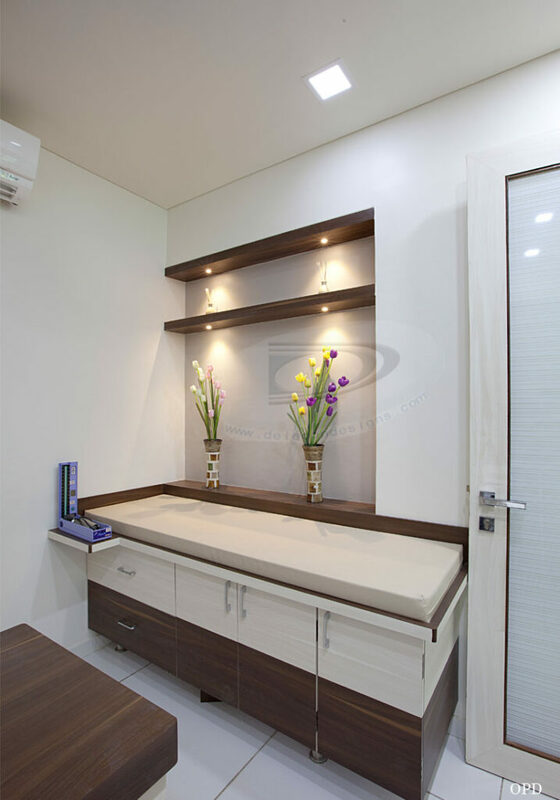 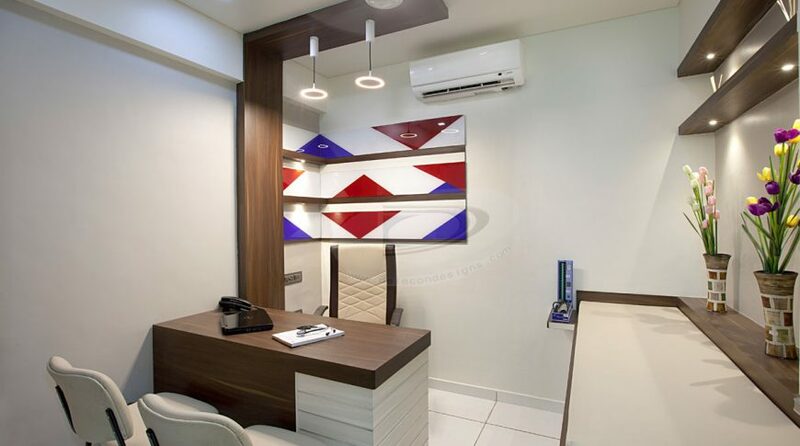 Apart from the wall design we mainly consider the furniture part as per the comfort & actual needs.